This 35-storey development is scheduled for completion in Q1 2012. It is easily accessible by road via Jalan Tun Razak, Jalan Binjai or Jalan Ampang and by LRT via KLCC and Ampang Park. 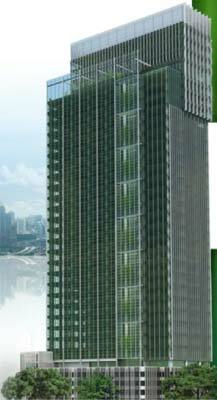 Menara Binjai has been awarded Malaysia's Green Building Index (GBI) and Singapore's BCA Green Mark Gold standard . Key environmentally friendly features of this building are energy efficient lighting, flexi-zone air conditioning, double glazed windows, triple volume garden terraces and destination based lifts, enabling up to 25% savings on electricity and air-conditioning consumption.